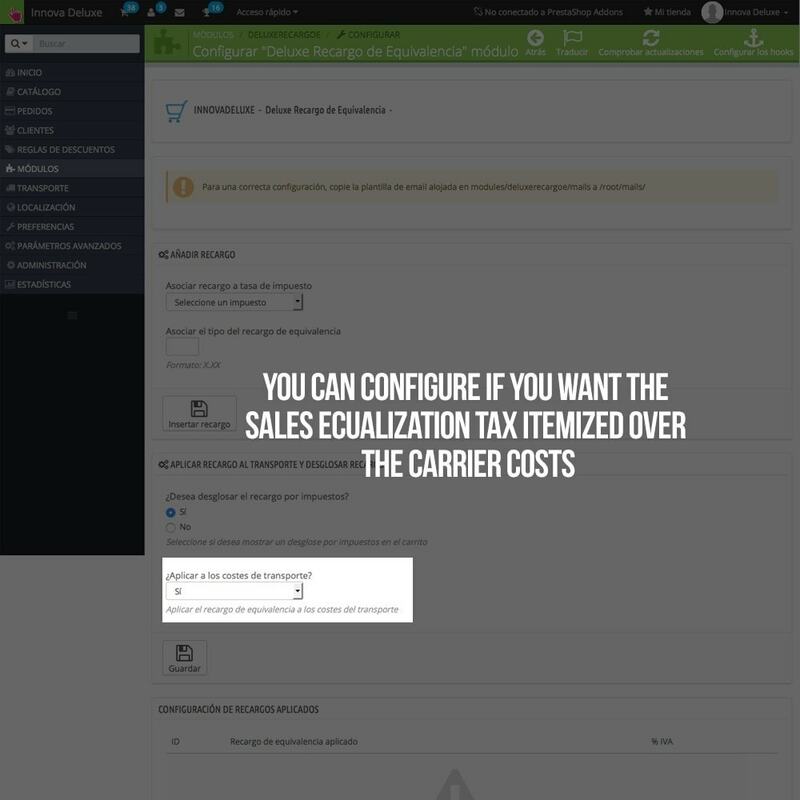 If you have a B2B business, with the sales equalization tax module you’ll be able to sell from your shop to professionals using sales equalization taxes, applying the sales equalization tax percent corresponding to the kind of products sold in your store. What is the sales equalization tax? Self employed persons have taxes responsibilities with tax agencies in order to keep their taxes up to date. A self-employed person can be in a general or a special tax regime. 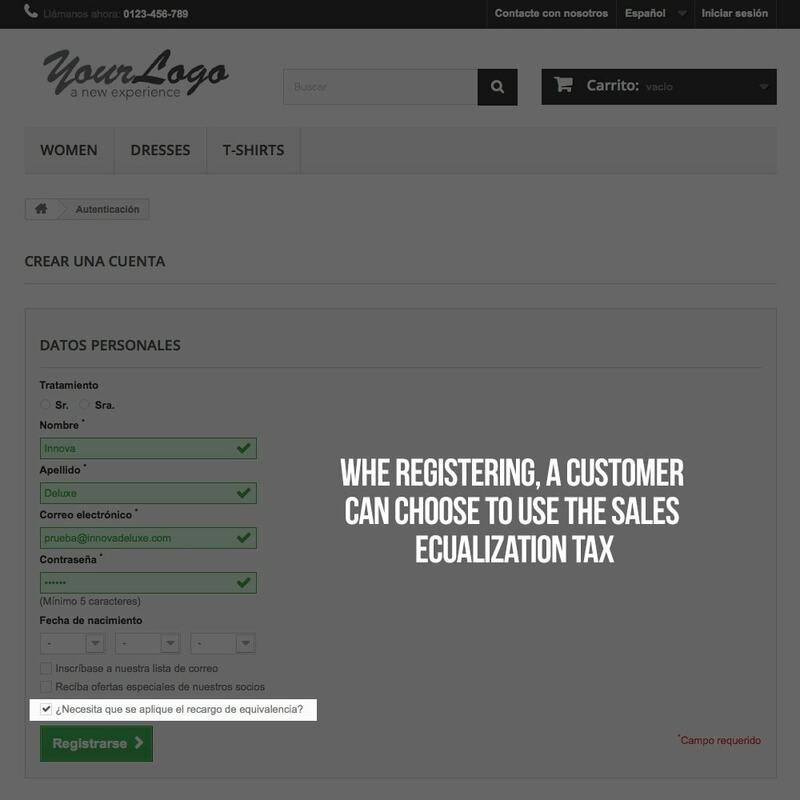 One of these taxing special regimes purposed by the tax agencies is the sales equalization tax regime, which application is obligatory for retailers who are physical persons or for business subject to income allocation system (common properties and civil societies) being all their members physical persons. 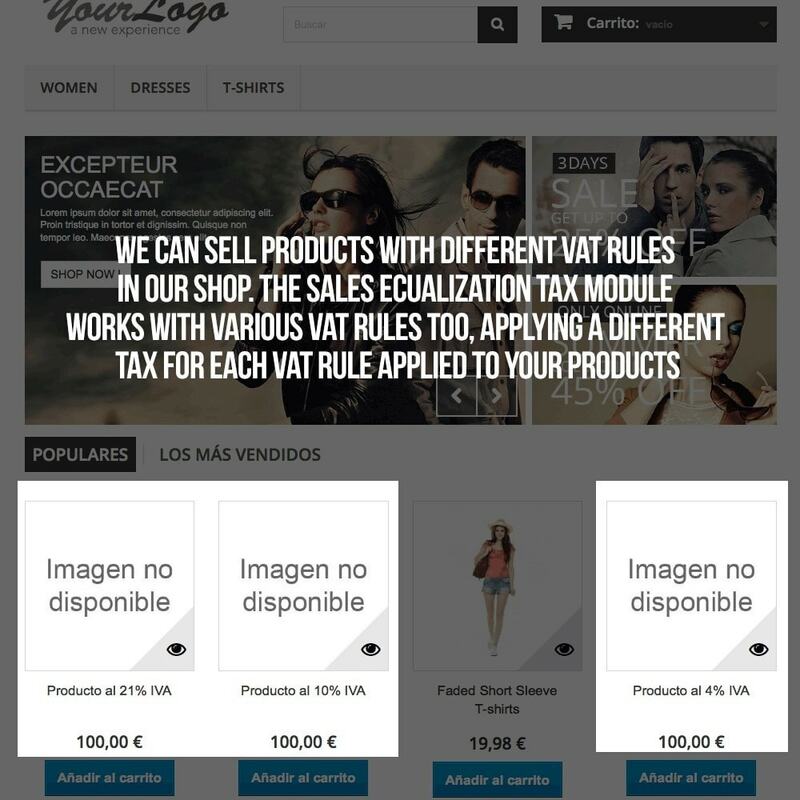 The tax agency defines as retailers those persons selling goods without transforming them, if at least 80% of their total sales are made to final customers, except for retailers with objective stimation in IRPF (modules), exempt of this percentaje. 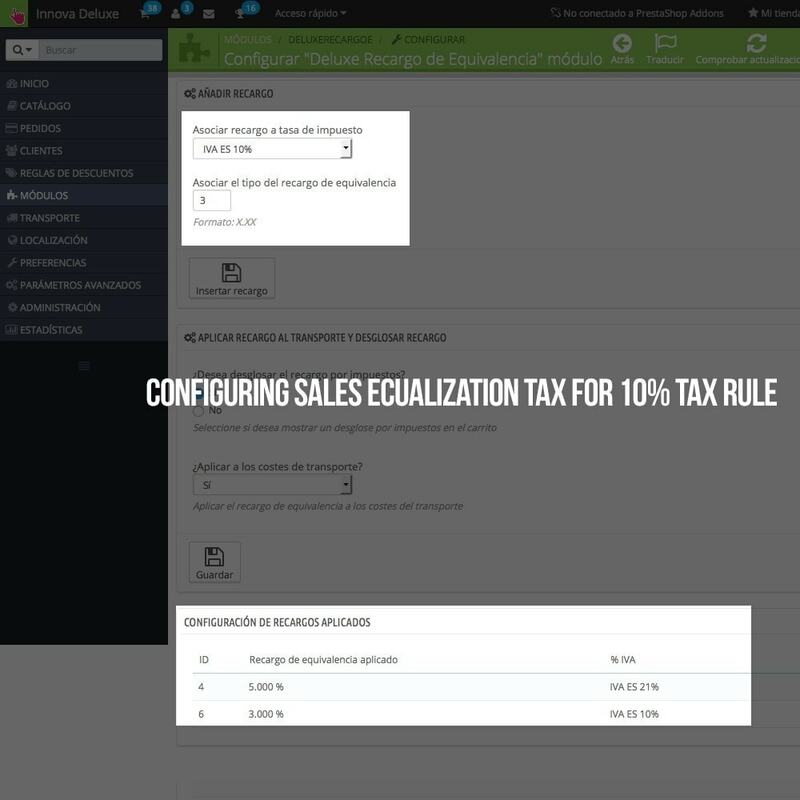 What is exactly the sales equalization tax? The tax agency target with this special regime, is to make simplier the retailers obligations. 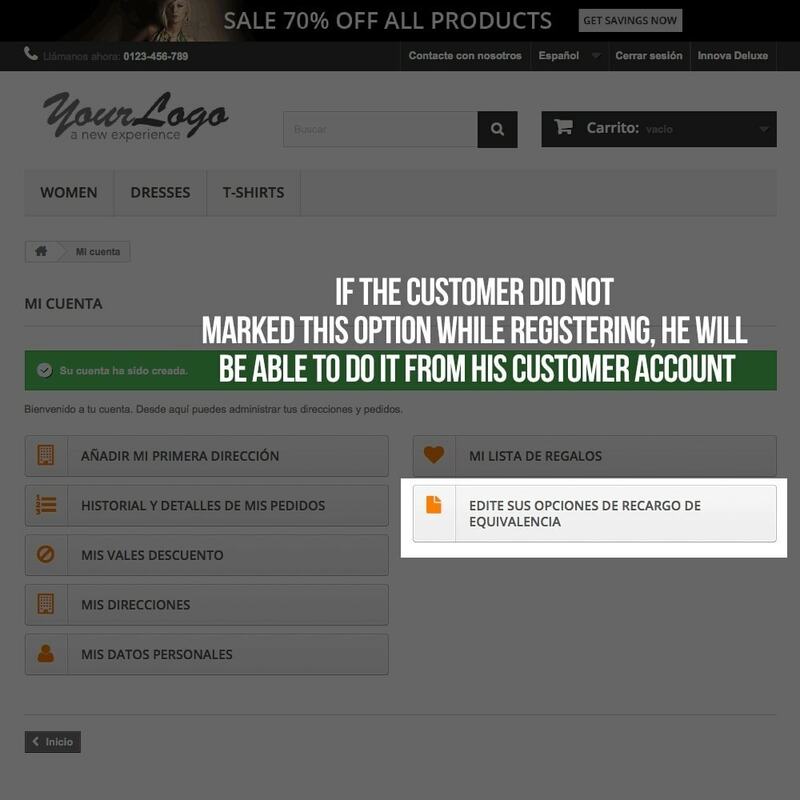 The retailer suppliers will make the payments to the tax agency, making simplier the work and obligations for a retailer. How does it work? 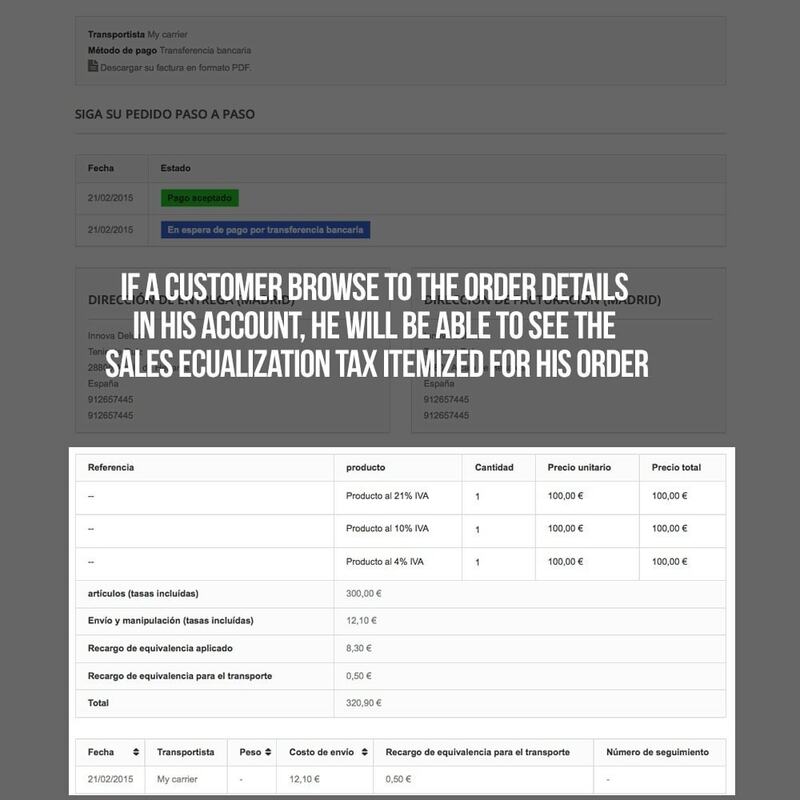 The retailer will notify to their suppliers that he is using the sales equalization tax regime. 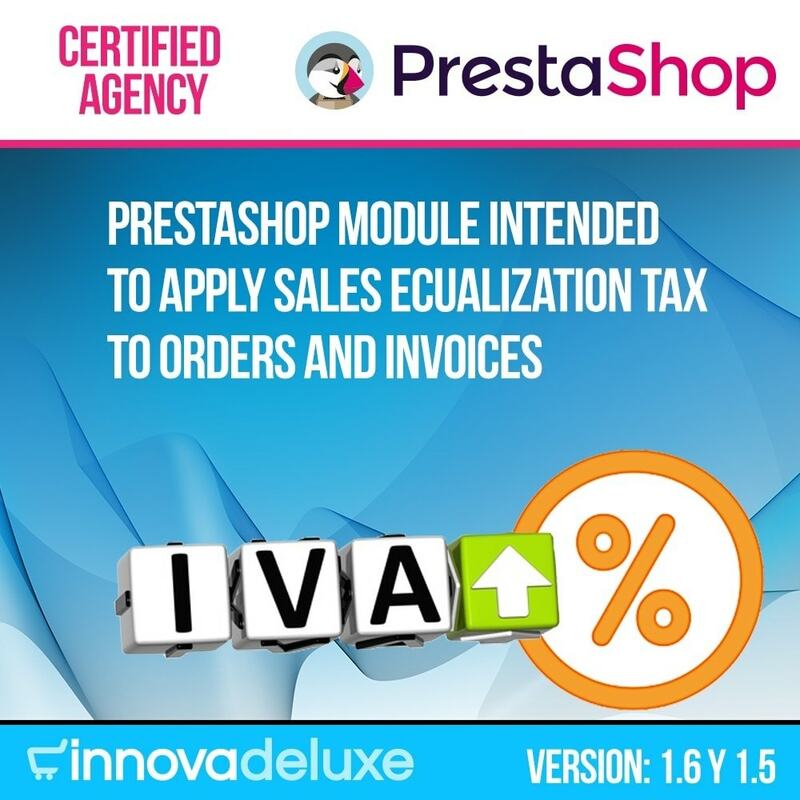 Suppliers will be obligated to change their invoicing method, by including a sales equalization tax percent. Taxes and sales equalization tax must be itemized separately. 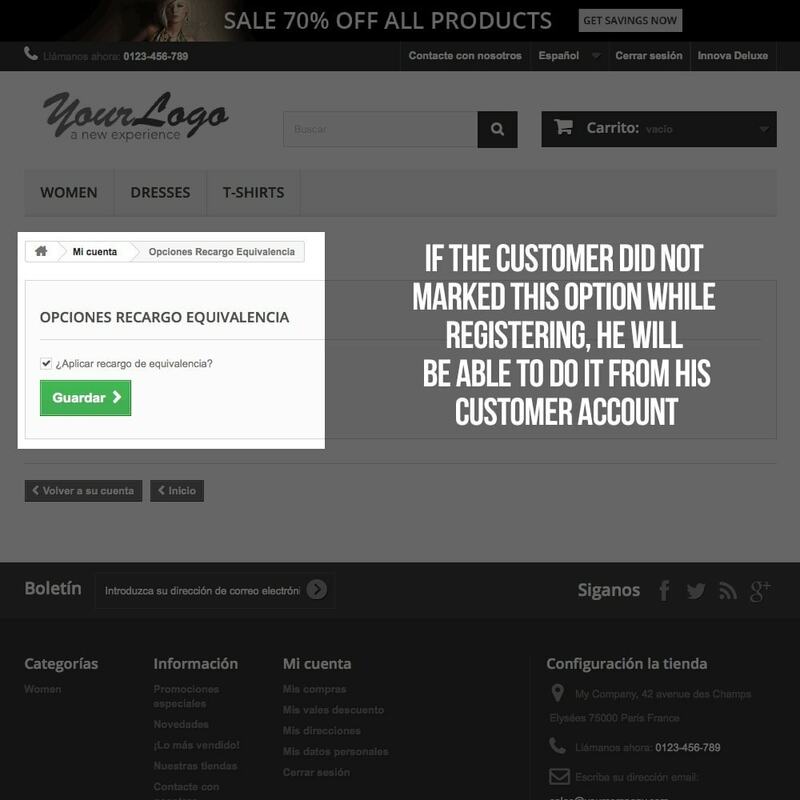 The retailer is not obligated to to pay to the tax agency for his sales, and he is not obligated to present self assesments to the tax agency. The retailer will pay a bit more for the goods to the supplier, but he has not to declare this tax. The result for the retailer is that he’s cashing taxes to their final customers but he’s not declaring it to the tax agency. Instead of it, he will not deduce the taxes or sales ecualization tax and his suppliers will perform and manage payments to the tax agency. 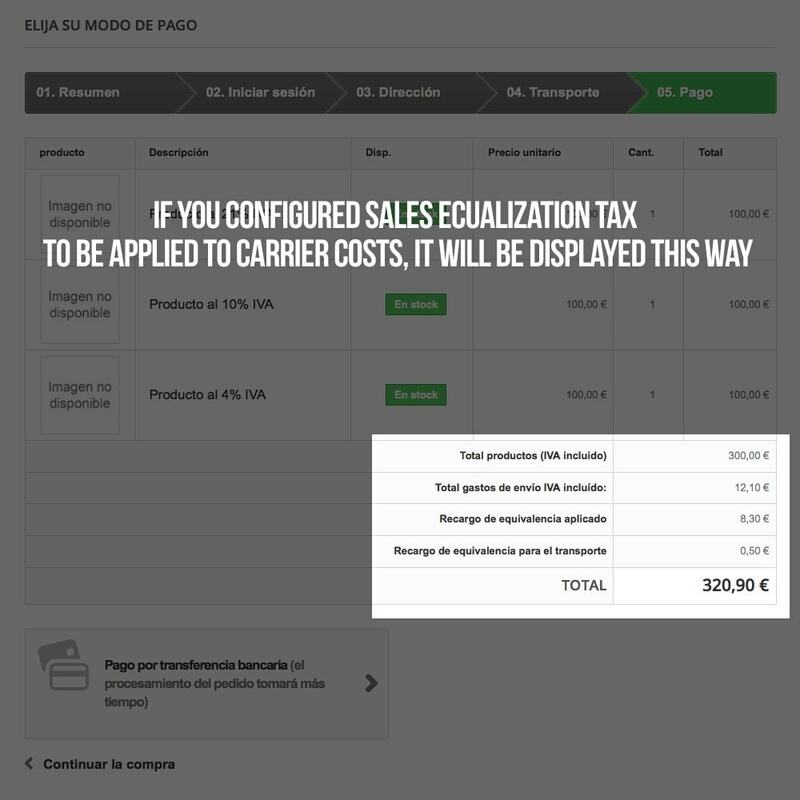 These percents are calculated on the tax base of the invoice and they’re applied only for Spain. 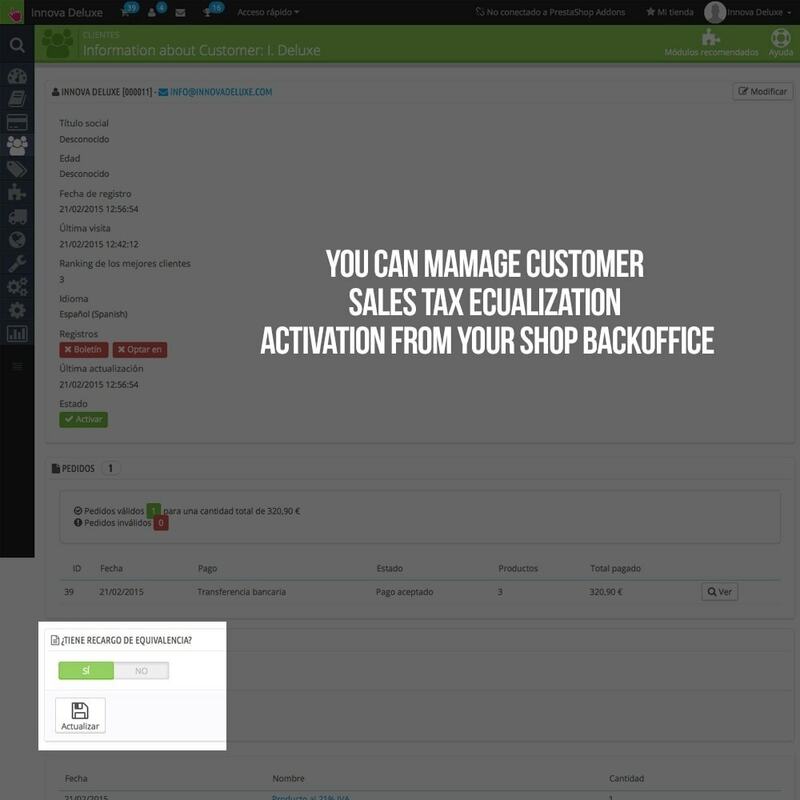 For example in Belgium, the percent is not applied on the tax base, instead of it, it’s calculated on the VAT invoiced. 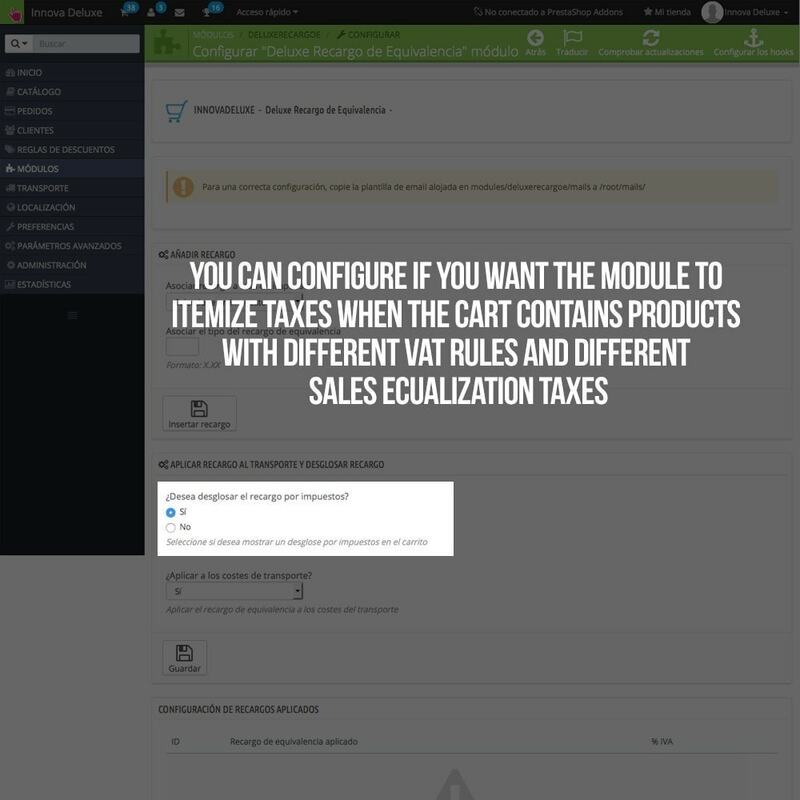 So this module is only valid for countries calculating the sales ecualization tax on the tax base. percent over the tax base and then adding it to tax base and correct VAT. 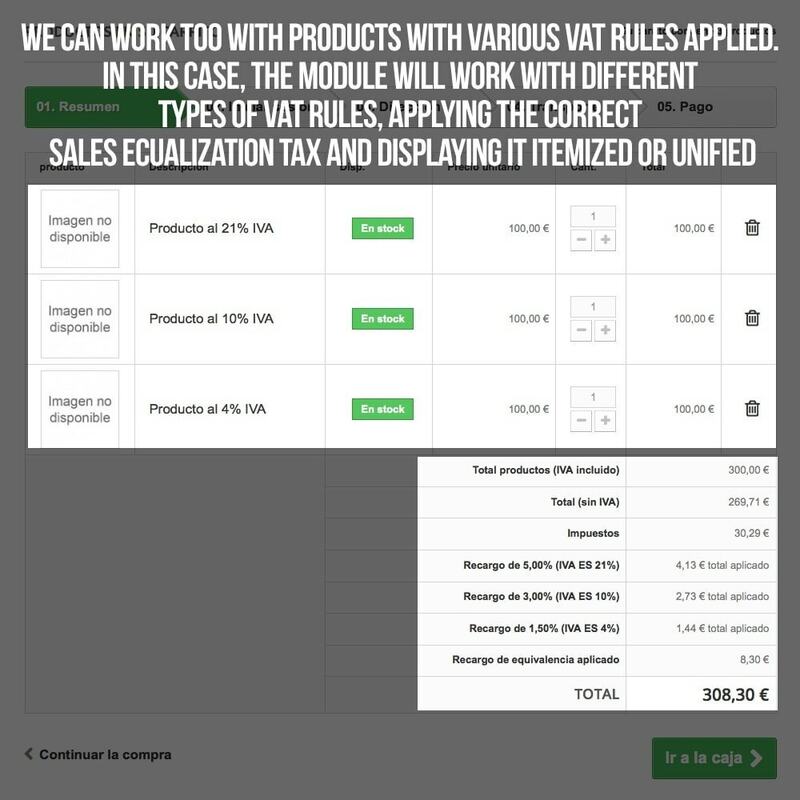 Configure a different sales equalization percent for each VAT type applied to your products, allowing you to apply a 5% for each product with 21% Vat, 3% for products with 10% VAT or a 1% for products with 4% VAT. 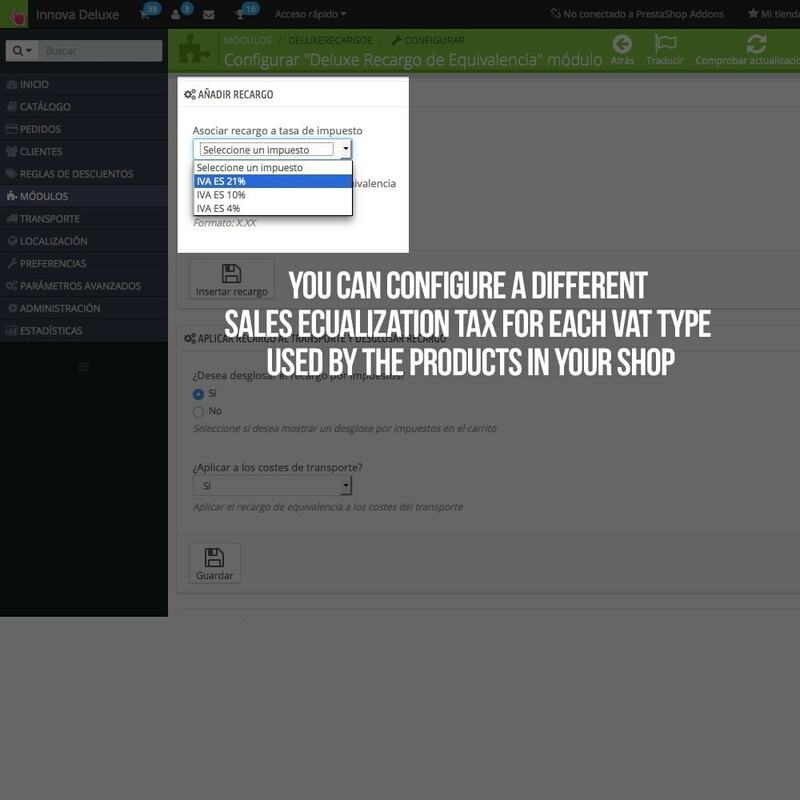 You’ll be able to configure sales equalization percents for unlimited VAT types. 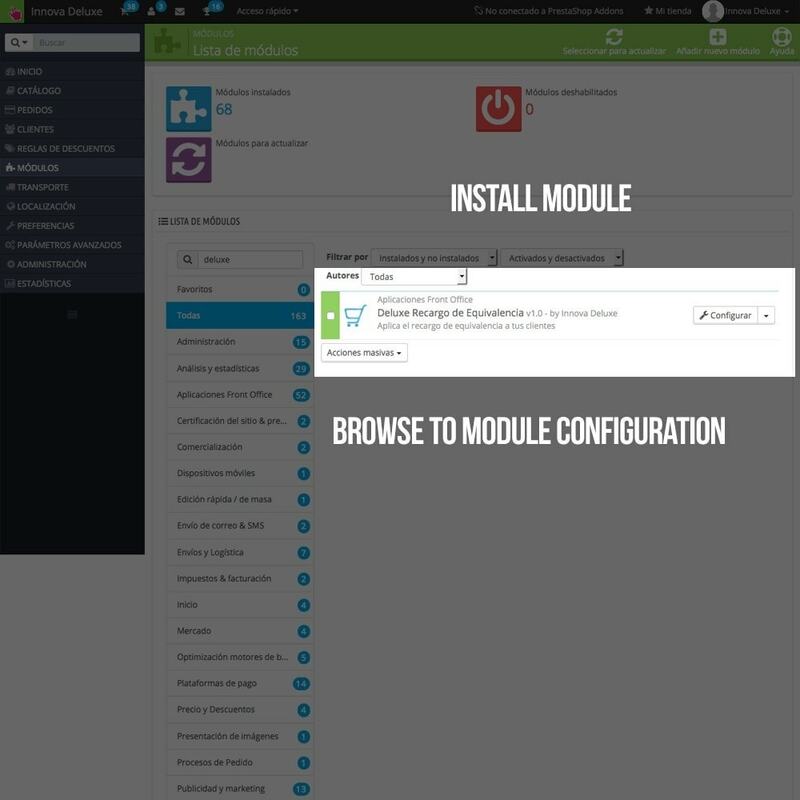 You’ll be able to modify or remove any configured percent. 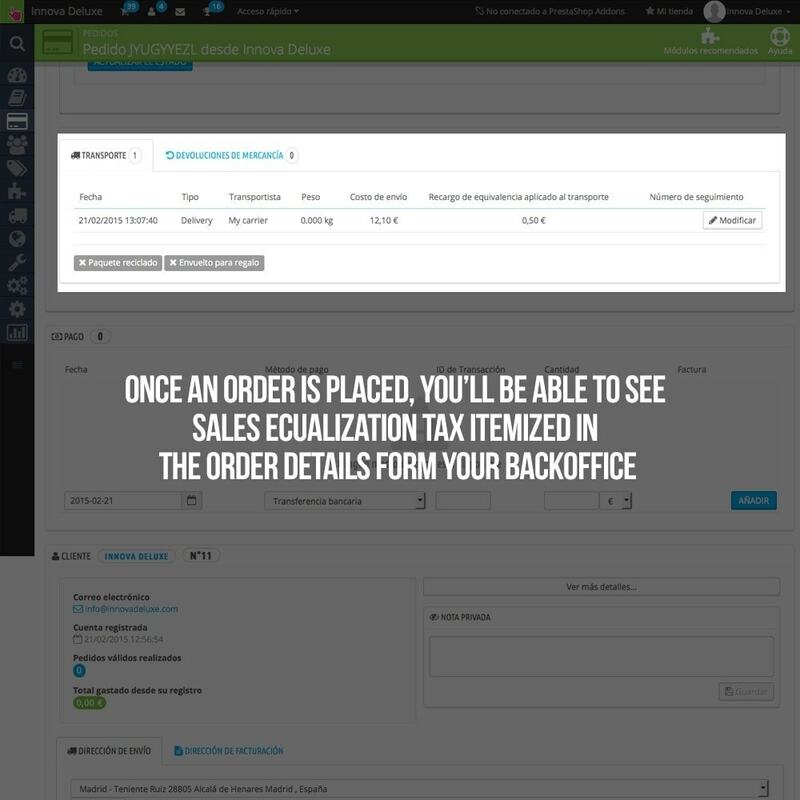 You can configure if you want all the equalization taxes itemized if you’re working with various VAT types. 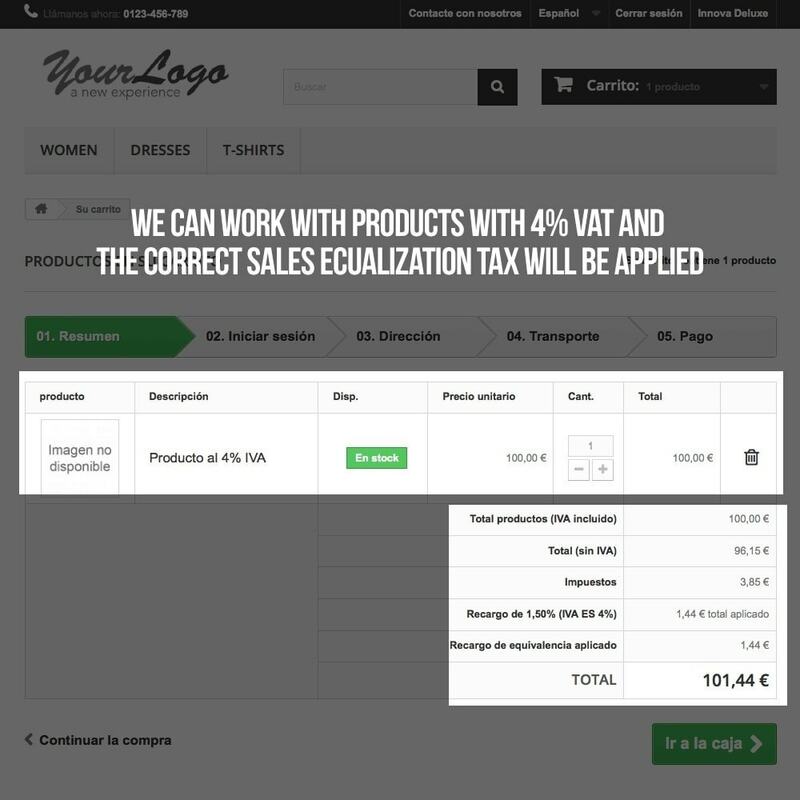 If you have an order with products with different VAT taxes, for example, 21%, 10% and 4%, you can display all the equalization taxes in the same line or use a line for each different percent. Customer area, my orders. 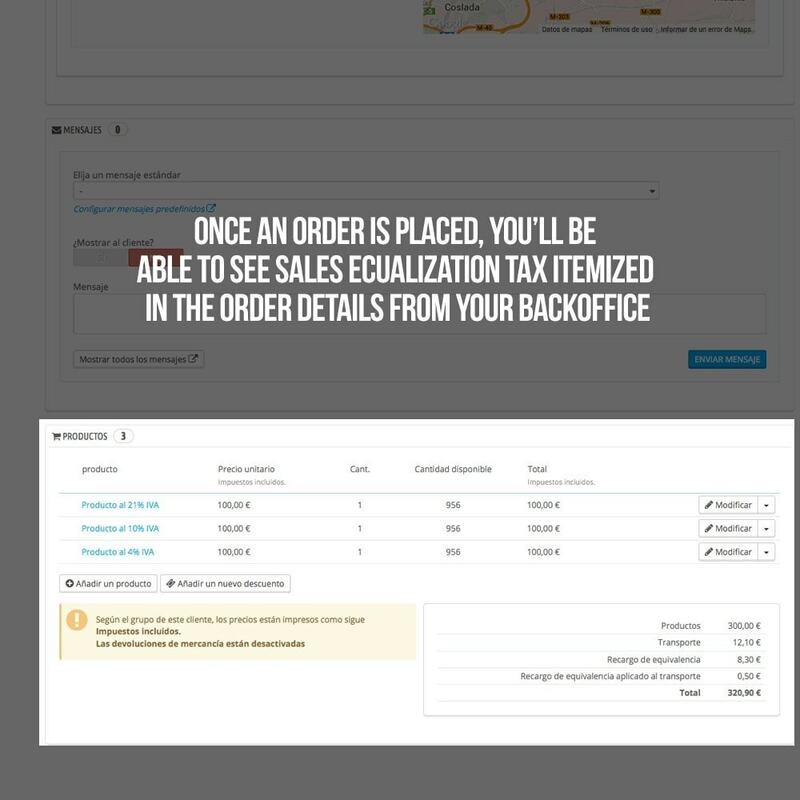 When displaying order detail, the sales ecualization tax will be displayed, unified, itemized, and applied to the carrier cost if configured. 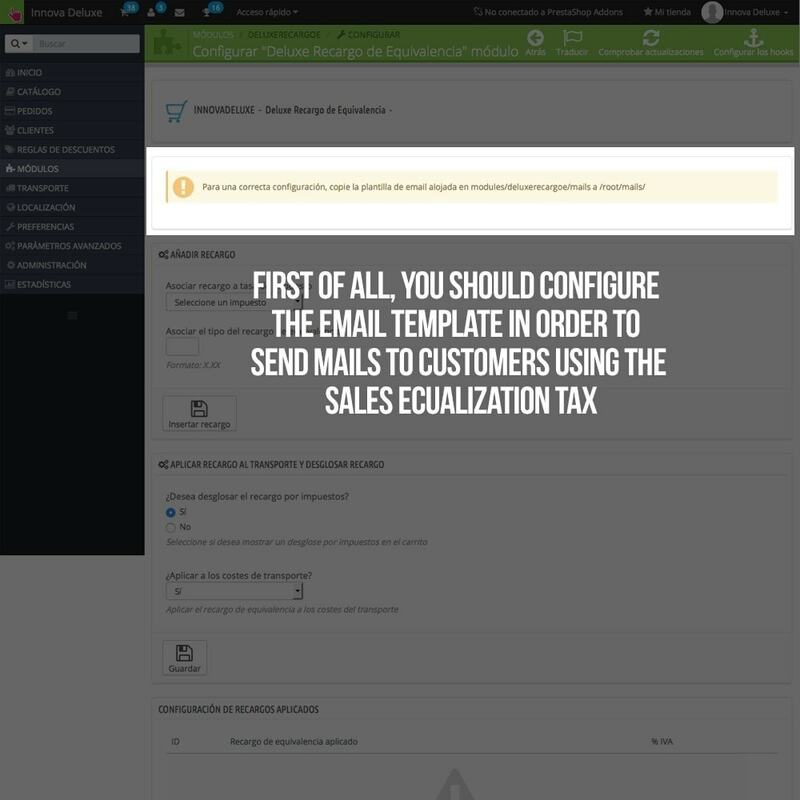 How can I configure a customer with sales equalization tax?